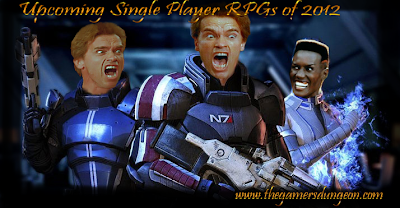 Let’s take a look into role-playing game releases for the upcoming year 2012. Whether it’s classic Rpg, action Rpg or hack’n’slash, I will include it. I have included what I feel are, rather major rpg releases for this year to come. Majority of these are from big publishers with a few interesting indie releases thrown into the mix. I have come to notice that there is lack of medium sized game companies developing authentic role-playing games. The games are mainly either huge major releases, thus being commercial and simplified for the masses, or they are very small indie releases, whereas the team often has authentic and good ideas, but cannot execute them as well as they would like to due low finances and small development team. The upcoming year seems to feature pretty much the same old action-rpg genre, with few indie/smaller releases that could feel fresh. Few of the big releases will still most likely provide same old safe, yet fun gameplay that most people will enjoy for a while. Year 2012 seems to bring fair amount of modern open world action rpg's, as well as few hack'n'slash games along with the maestro of the hack'n'slash genre Diablo III. Classic fantasy themes seem to rule out sci-fi this on rpg fields year. In other words, lets have a look for the rpg releases of 2012 with “tongue in cheek”! Age of Decadence is pseudo isometric rpg nodding bit more towards likes Fallout 1 and 2, than newer action rpgs. It’s being developed by Iron Tower Studio and to be released for PC – both Windows and Linux versions are expected. The story is set into post apocalyptic world, inspired by the times of Roman Empire. The game features seven different starting backgrounds for your character, ranging from a knight serving a Noble House to greedy grifter, which will affect to how each of the game’s factions react to you. Age of Decadence uses skill-based system, but doesn’t use character class based system (other than your background). Thus you do not level-up at all, but your skills can be increased by gaining skill-points when completing quests. 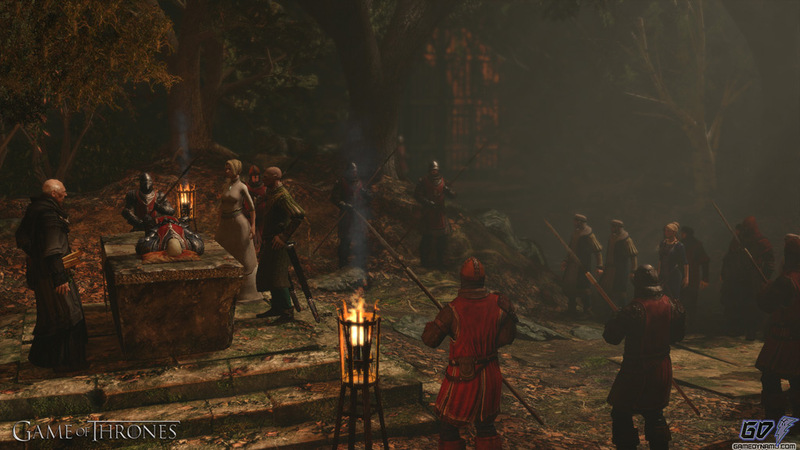 The game will have non-combat skills such as Crafting, Alchemy, Persuasion and Lore along the regular combat skills. Some character customization is allowed such as the background of character, appearance and gender. Gender will affect the gameplay. 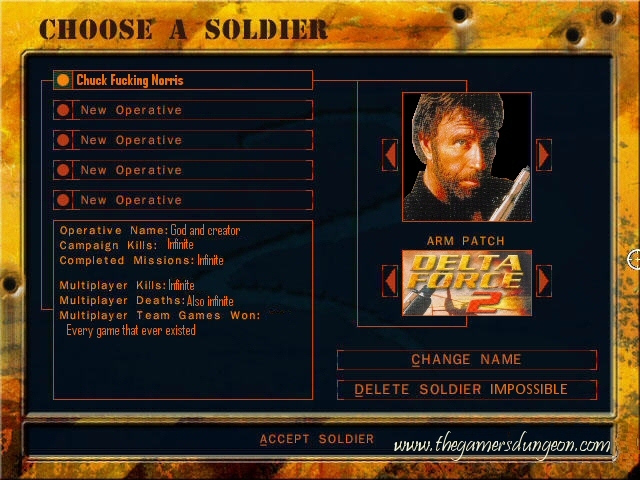 The combat system will be turn based based on action points, such as Fallout games for example. The makers promise combat to have strategic elements rather than relying only on furious mouse clicking. They are stating that the game will feature extensive and rich dialogue trees, written with role-playing in mind, featuring multiple ways of handling each situation depending of your skills, and each way to have consequences affecting the future events. Seven different game endings. Over 100 quests, 23 skills, 7 or 8 character background choices, featuring 22 locations such as towns, outposts, archeological digs, underground facilities, and temples. The game uses Torque Game Engine. Personally I find this game quite worthy to check out at least, with advertised several dialogue choices and tactical turn-based combat. Rumored to be released around September of 2012, The Dark Eye: Demonicon is sequel to The Dark Eye: Drakensang (2009). The franchise has swapped publisher and developer since then. 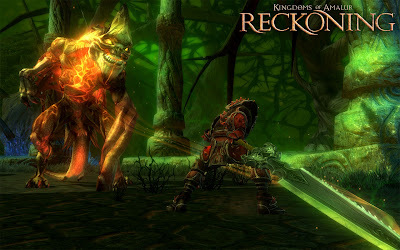 Demonicon is being developed by Noumena Studios, which I’m unfamiliar with, and is to be released by Kalypso. The game’s coming out for PC, Playstation 3 and Xbox 360. There’s no much information about this game floating around yet, thus one could expect that perhaps the rumored September might be the earliest this game’s coming out at. The game once again will be based on classic world of The Dark Eye franchise, but will be more stand alone, rather than direct continuation from the last chapter. You’ll step into shoes of main hero Cairon living in a fantasy world of Aventuria, who “in the last 25 years has seen more horrors than most people endure in a lifetime. Cairon seems to hold powers of nether worlds. Is the plot of Cairon’s vengeance or him having had enough of the world overran by evil? It’s not quite known yet. Judging by early screens this game seems to remind me of games like Gothic, and seems quite action based with it’s third person view. The combat rules are said to be based on current edition of “TDE” rulebook. The world seems quite dark, grim and haunting – darker than your average action rpg’s world. The developers promise large and epic world to explore, and movie-like story to be experienced. 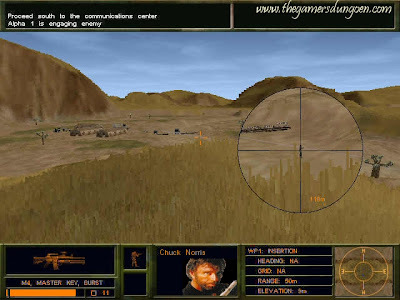 The game uses “Vision Engine”. Might be this years “black horse” and surprise or might stink. Anything’s still open for grabs. This game barely needs introduction. Diablo III is being developed and to be released by Blizzard Entertainment for PC and Mac at March 8 of 2012. 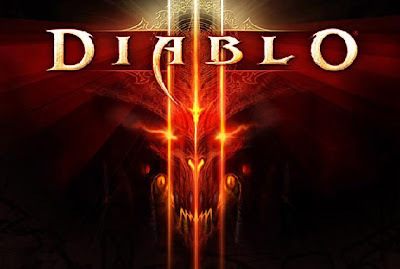 Diablo III has been also rumored to be released for Playstation 3 and Xbox 360 later this year, and the console project is led by Josh Mosqueira. 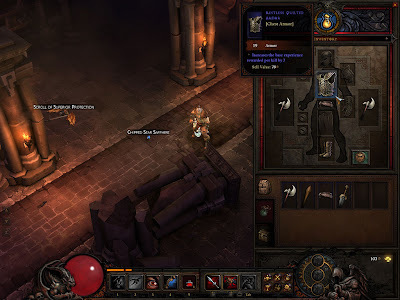 Diablo III is dark fantasy themed hack’n’slash action rpg with pseudo isometric top-down view, and is known for it’s hellish and devilish themes which have been very well executed in the past. The story takes place in world of Sanctuary, also known from previous Diablo games. Heroes who previously survived from the onslaught by the armies of the Burning Hells, have gone insane from their ordeals. It’s now up for the new generation heroes to face the evil forces of Sanctuary. The story revolves around two lesser evils called Azmodan and Belial, and a powerful artifact known as Black Soulstone. Judging by gameplay material the game seems to stick very true to it’s root, with updated graphics engine, which still is nod to the one from Diablo I and II. The drawing-like interface style and such are still featured and look cool. Diablo III combines pre-made gameplay areas with large percentage of random generated areas, that won’t make it completely random, but largely random anyhow. This is expanded with random encounter generator, and of course randomized loot, thus making replay value great, if the game otherwise is worthy of several playthroughs that is. Along the main storyline you will be able to crank up some class-specific quests also. Regarding loot, there will be few new armor pieces: arm-guards, shoulder plates and leggings, giving you more chances to customize your armors. “Skill runes” are also new addition, which are randomly dropped by monsters. They can be added to several skills or spells to modify their effects, thus making them stronger. 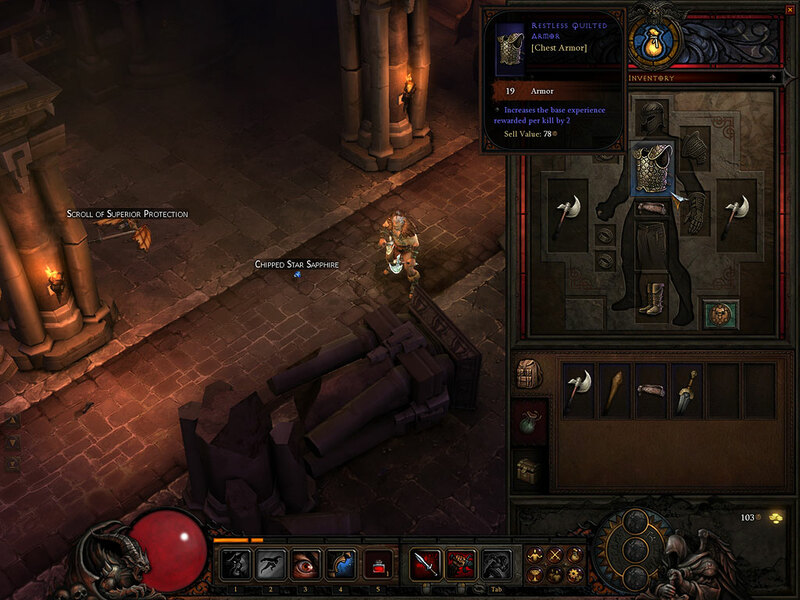 Diablo III features follower NPCs that player is able to recruit. There are three types of them with each having unique skills and background: Templar, Scoundrel and Enchantress. PvP (player versus player) combat will be handled in PvP-specific “arenas” consisting of varying terrain and cover. Auction houses are also in, one for the in-game money, and one for real-money bidding. Extensive and fluid multiplayer feature is once again to be included. Five character classes are featured: Witch Doctor, Barbarian, Wizard, Monk and Demon Hunter, with each having choices for male and female. The Witch Doctor is like previously known Necromancer’s “shaman brother”, while Monk is melee character using martial arts, and Demon Hunter is combination of Diablo II’s Amazon and Assassin classes. Players seeking for fast paced mouse-click heavy hack’n’slash grinding with great graphical art and lots of random elements within the game should pretty much be in treat when Diablo III comes out. 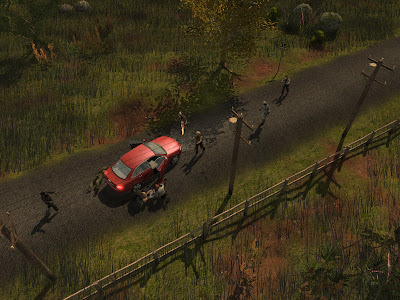 Dead State is a isometric 3D open world survival rpg developed by Doublebear Productions (indie), taking place in events of fatal virus spreading over the Earth, turning people into blood lusting zombies. The game is being made with tech tools such as Torque 3D along with tools and code used to make Age of Decadence, and it will be released to PC at first, with consideration of the other platforms later on. The story is set in fictional town of Splendid, Texas – whereas you are a survivor of zombie apocalypse. To your knowledge, civilization has collapsed globally. You need to survive and your best bet is to find and gather the other survivors, and find necessary resources around the world. The gameplay nods towards open-world, so you can pretty much go where-ever in which order you like. The zombies are described to be slow and stupid, responding to sound and sight of the living. However they may come in large numbers, and your resources are scarce. The combat will be turn-based, and player won’t be having full control of the rest of the party other than himself, but can issue commands to anyone within the party. If someone in your team is bitten, the disease is controlled by antibiotics. Scavenging will be one of the major things in the game. In addition to medicines, there are melee and ranged weapons in the game to be found along with many useful tools. Not forgetting food, which forces you to go out and seek some. Not having food will destroys your party’s morale. Dead State does not have leveling-up system at all, but characters rely on their skills and stats, which can be increased when completing quests and thus gaining skill points, and more rarely stat points. The characters have a few stats including Strength, Agility, Perception, and Vigor (health). There are eight main skills that consist of skills such as: Survival – avoid random encounters, travel faster, harvest wild resources of food; Science – allows the player to craft new items and upgrades; Leadership – used to intimidate people. And yes, you will be able to create your character, and choose his/hers skin tone and cosmetic details. Game also features some yet unannounced “Perks”. The game is rumored to come out 2012 but the release date is still on TBA state, without publisher. I was first turned off by “horror survival rpg” title, but actually while reading the game’s features, it looks quite old school and cool. I don't think I've seen horror survival game executed this way recently at all, this game's idea has potential if the developers don't screw it up. But we’ll see. Game of Thrones is an action rpg or adventure depending where you draw the line. 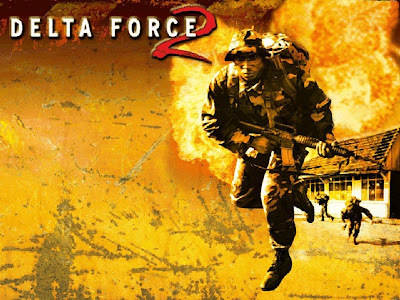 It’s currently being developed by Cyanide, and to be released by Atlus (America) at May 15 of 2012, and Focus Home Interactive (Europe) with release date to be announced (TBA). It will come for PC, Playstation 3 and Xbox 360. The game itself is based on George R. R. Martin’s book “A Song of Ice and Fire”, and the story takes place in the kingdom of Westeros with medieval fantasy world theme. Your mission is to prevent a plot that is threatening the kingdom. Two characters leading the game will be a night watchman Mors Westfold and red priest Alaster Sarwyck, who will venture into various events as they get involved into the plot. 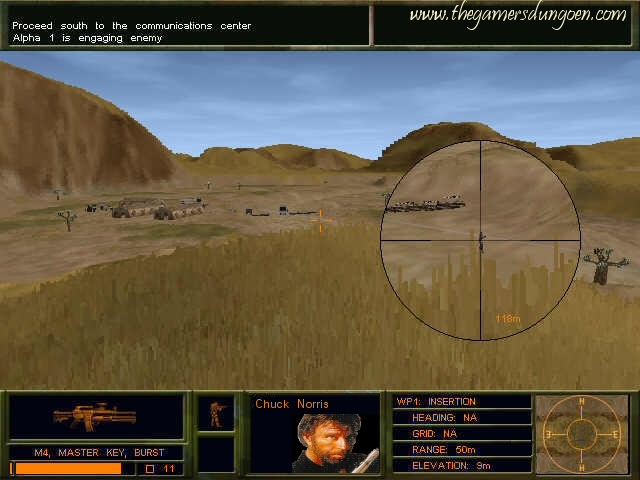 Cyanide Studios are hoping that the game will successfully combine war and politics known from the series. The information about the game is quite scarce, but you’re going to control single character from third person view. The game promises +30 hours of gameplay and seems to be based heavily on movie-like storytelling, cut-scenes and action itself. Since there’s no word of character generation and such, I assume that they are pre-made? However there is a rumor that you'd be able to choose the class and determine the fightning style, and that there would be some better weapons and armor to be looted, whether this is true or not is not confirmed. Other than that the information out now implies that there won't be very much character customization. Lack of information and seemingly high emphasis on movie-like cutscenery gives me sort of bad feeling about this game. I like to play my game events rather than watch them happen without much interaction. But that’s just my early feeling about the game. 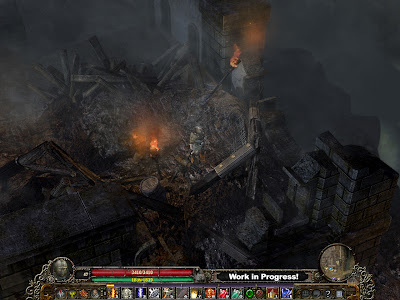 Grim Dawn is hack’n’slash type action rpg developed by Crate Entertainment, a small indie studio formed by some ex-Iron Lore artists and designers. The game is rumored, but yet unconfirmed by date, to come out later 2012 for PC download only. 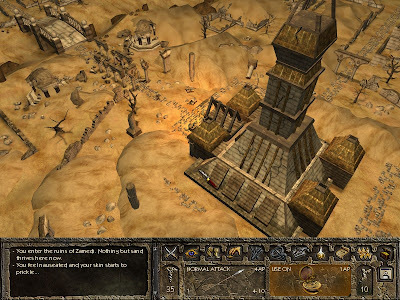 The top down view of the game boosted with 3D graphics reminds of Iron Lore’s Titan Quest, and is that a wonder, since they most likely have some of the same people developing Grim Dawn within the team, that were also making Titan Quest. The game will user same Iron Lore engine than Titan Quest, but with difference of being modified and upgraded version by Crate Entertainment developers. Other than that the gameplay seems quite similar to other known hack’n’slash rpgs such as Torchlight and Diablo. The heart of Grim Dawn is fast paced and mouse-click heavy combat, and grinding for wide range of loot. 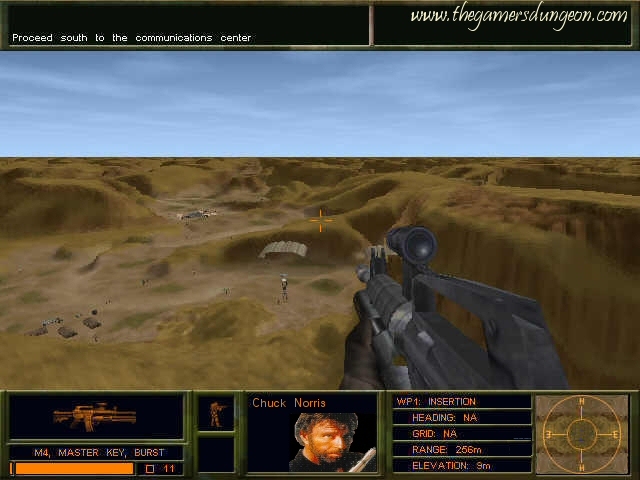 The game takes place in dark and war-torn world of Cairn, which has become battlefield of two otherworldly powers, while humans have been driven to the edge of extinction. The other force seeking human bodies to use as a resource, while the other intending to destroy the human race even before that can happen. Only small enclaves of human survivors exist, living in hidden refuges. Not too bright future for humans indeed. The game features crafting system similar to Warcraft III’s popular mod Defense of the Ancients. There will be loads of quests, and several factions will be featured to interact with. The game doesn’t use completely random areas, but uses things such as “randomized barriers”, such as fences and walls, that may or may not have a doorway on separate times you play the game. This makes player to be forced to take a different route on different game plays. The game features five different “skill classes” each with it’s own skill tree, which you can combine as you like and unlock powerful skills by mastering your classes. 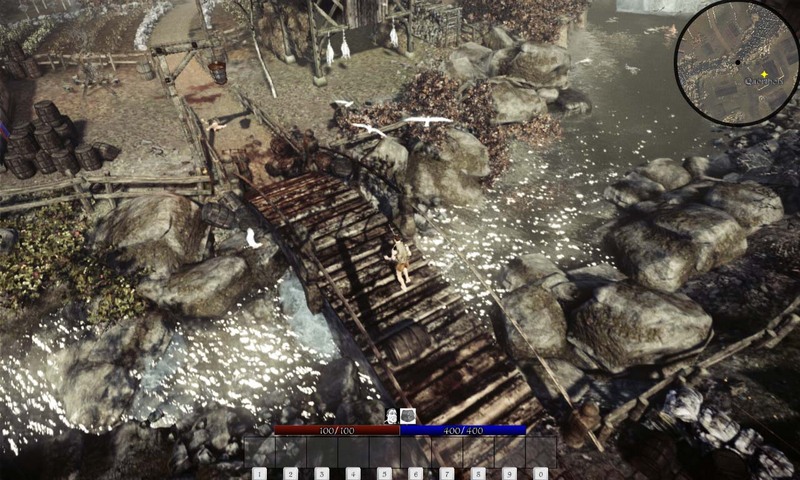 Gameplay system is designed to expand for 200 levels of character progression, loot, and monsters to fight – promising long gameplay experience. Loot system has been refined with enemies now dropping less junk. Collecting blueprints will allow you to combine certain looted items into unique enchanted items. Developers promise to have put emphasis on quest and dialogue system in general, for player to be able to choose different paths and rewards, and factions will be in, though yet not announced. As for graphics, dynamic whether effects and destructible environments are there for your eye candy. Interesting to see how this Indie hack’n’slash does against Diablo III and Torchlight II, as to my eyes it shows slight promise on it’s own genre. Kingdoms Of Amalur actually already came out. It was released just while ago at Feb 7th 2012 in US and 12th in Europe. The game itself was developed by 38 Studios, Big Huge Games and released by Electronic Arts. Amalur has already gotten very good receiving from many major gaming magazines, such as IGN rating it 9.0 – “amazing”. The game surely is homage towards modern rpg, than classic one, with it’s third person emphasized gameplay. It could be described as massive open world single player rpg in a fantasy setting, taking place in world of Amalur. Graphically it’s a crossing between something like Fable, World of Warcraft and Dragon Age. It’s direct competitor to games like Skyrim and Dark Souls. You start with a single anonymous character, who is dead, but is bring into life again with a machine called Well of Souls, which can resurrect dead. Thus being anonymous, you start from the scratch, as a no-one, building up your own story in an open world. The game features four different races, five different geographic regions, over 120 hand crafted dungeons and six different factions to join to. Amalur got praise of it’s fluid arcade like combat gameplay that many though of winning the combat in any recently released rpg’s hands down (whether that’s true or not, you better find out yourself). Also along it’s basic and typical skills and stats system, your characters abilities were affected by unlocking “destinies” depending to what skills you spent your skill points to. Destinies would then expand your characters abilities and define who you are. Major part of the lore was written by known fantasy author R.A. Salvatore. May not be the most innovative game of the year, but has received some praise for it’s fluid gameplay nevertheless. Read Full Preview Here. Legend of Grimrock is a first person indie dungeon crawler rpg developed for Windows (minimum XP with DX9 supportive graphics card), followed by Mac and iOS, set to be out early 2012 for Download only. The developers are four member team of “game industry veterans” with combined experience of more than 30 years in creating commercial games (such as Max Payne 2, Alan Wake, Shattered Horizon). The game seems like dedication to old dungeon crawlers from early as late 80’s to mid 90’s, such as Eye of The Beholder, Stonekeep, and Might & Magic series. The events take place inside Mount Grimrock and it’s fictional dungeons – thus making it pure dungeon crawler, such as Stonekeep, but unlike Might & Magic that did feature also outdoors areas and towns. 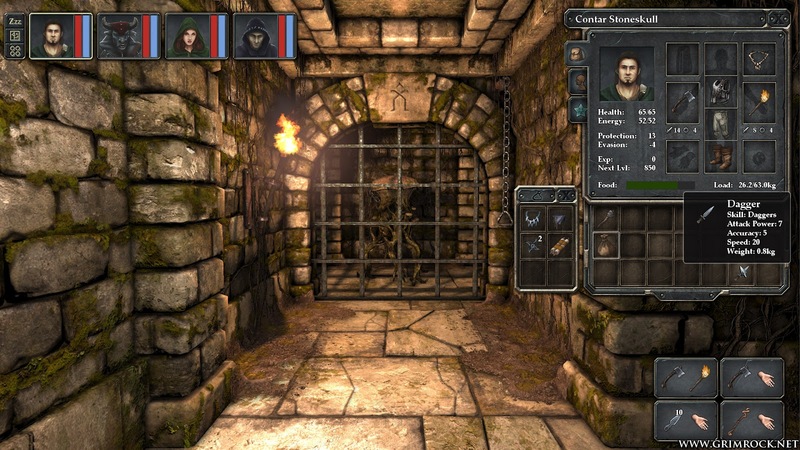 You will start game by building party of four characters, in this case prisoners bound to escape the dungeons, to begin your adventure like in classic rpg. You’ll need to decide wisely to create out balanced party. The combat gameplay will happen in real-time, and along the swordwielding the dungeon will also feature several puzzles. The dungeons look quite classic and simple however, being very “tunnel-like” with four directions to walk to. I hope that the developers manage to bring dungeons bit more alive than in pre-release-gameplay material as they look bit overly simplistic despite having quite fine textures. 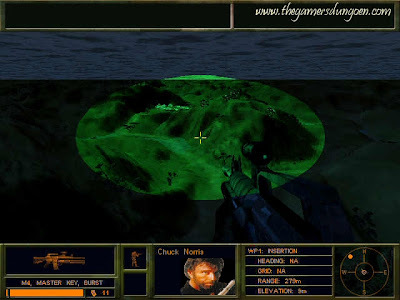 The game features lots of hacking with weapons as well as it’s own magic system. Lets take a look at the games character classes: There is no multi-classing in Legend of Grimrock. Three core classes are announced (with perhaps additional ones upcoming to the final release), which are Fighter, Rogue and Mage, thus being very classic class allocation. There are at least four races announced: Human, minotaur, lizardman and insectoid. The magic/spell system will be bit different from majority of rpgs seen lately, the devs state that “invoking magic should feel like you’re messing around with mystical forces instead of a spreadsheet!” Thus the spellcasting is based in messing with runes, which are represented in 3x3 grid. It’s not quite clear but I believe that clicking them in specific order will make different spell combinations and such. 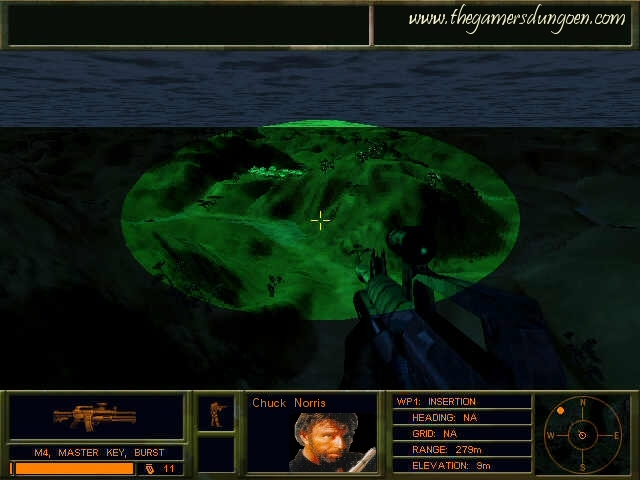 The game uses it’s own indie game engine and features Automap. Might be worthy to give this one a try if you like old school dungeon crawlers at it’s simplest and honest form. Mass Effect 3 is the new release in the well known action rpg franchise, taking place in a sci-fi setting of futuristic galaxy which features planets such as Earth and Mars. It will also mark the final chapter in trilogy of Mass Effect games, thus completing the story of Commander Shepard. It being developed by Bioware and released by Eletronic Arts at March 6 of 2012 in US and 9th in Europe for PC, Xbox 360 and Playstation 3. Bioware promises improved AI, more detailed level-up system, increased weapon customizability (including 25 weapon mods, five per weapon type), refined combats with some changes, improved cover system and new options for moving around battlefield. Players with savegames from Mass Effect 1 and 2 will be given option to import them into Mass Effect 3, which will affect on how the final chapter is experienced. Furthermore emphasis on combat have been put more for third person perspective to make the game more commercially viable. 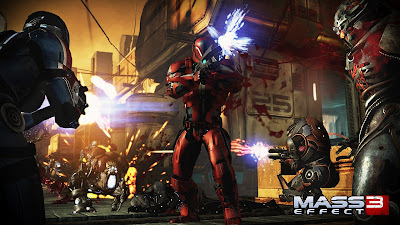 The game is heavily action based and plays out a “a shooter”, but like most Bioware games, has it’s rpg elements also with skill point and leveling up system, as well as extensive dialogue options. Multiplayer mode will be included to team up with other three players to do some special missions as a co-op, which can have impact on single player campaign’s outcome. The game uses “Unreal engine 3”. Not overly exited since Mass Effect 3 promises pretty much just to be another good action rpg, but we’ve had a lot of these coming out lately, looking alike – playing alike. Of Orcs and Men is linear single player action rpg currently being developed for PC, Playstation 3 and Xbox 360 by Cyanide Studios (Concept and production) and Spiders (Realization and development), and it will be published by Focus Home Interactive most likely at Spring, Q2 of 2012. The story is based into fantasy world where human empire rules, and is crushing Orcish, and Goblin territories. Goblins are killed on sight, while Orcs are captured and enslaved by human. The general tone of the world is grim and dark. You step into shoes of both, an orc and a goblin. 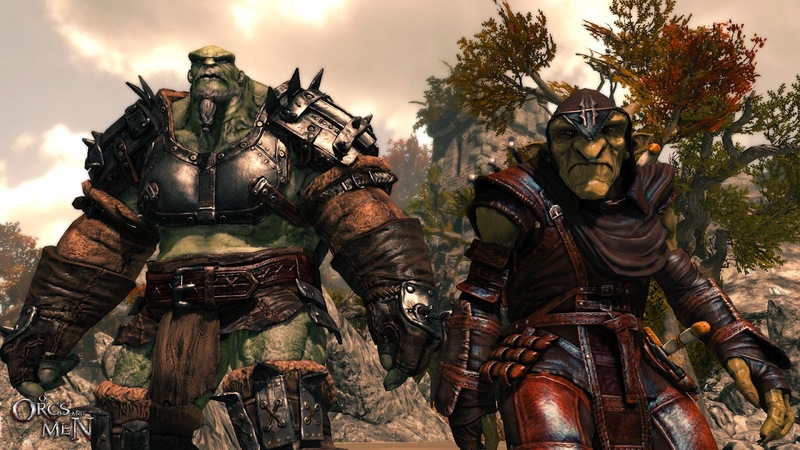 At the beginning of the game, orc’s family has been slaughtered thus driving his cause to fight for vengeance, while the goblins reasons are revealed later on in the game storyline. The game is single player action RPG, in which you can control both two totally different premade characters. The orc uses brute force while engaging combat, and is pure melee fighter, whereas the goblin is more stealth and assassin-like character. Goblin can also reach the places orc cannot due his small size. You can switch both characters on fly. Even though both characters are completely premade, you have a choice how to improve them by having total control over their skill tree, weapons of choice and armor. Of Orcs And Men is heavily story driven and quite linear game, rather than the most of the other rpg’s coming out lately, which have had mostly open ended game world. It’s story broken up into several chapters. There is fixed ending in the game, but your choices between different dialogue options and events will effect how you get there. The choices do affect to upcoming game chapters. Linearity bothers me a bit with the games features, but if they execute Orc and Goblin’s different type of gameplay very well into the game, this one could be decently fun also. 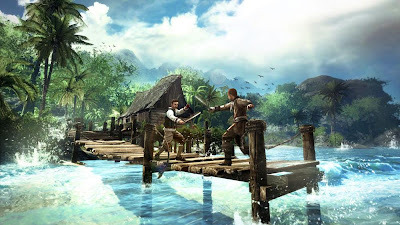 Risen 2: Dark Waters in being developed by Piranha Bytes and is to be released for PC, Playstation 3 and Xbox 360 by Deep Silver at April 24 of 2012 for US, and 27th for Europe. It’s a single player third person action rpg based in a fantasy world heavily influenced by age of the pirates. The story begins in the harbor city of Caldera, with the same main hero than in prequel Risen 1. The man is now broken alcoholic, who wears a patch over one eye that hides the inquisitor monocle, which he got in the previous Risen game. You’re asked by a man named Carlos to help him seeking a sunken ship near the cost of the Island. Risen 2 has no such thing as character class system, nor can you create your character. Instead you’re given the premade character, hero from the first Risen. You gain experience by killing monsters however, which leads you to level up. When you do, you gain “learning points”, which you can spend on specific NPCs known as “trainers”. You can spend the points for skills of your liking at the trainers, or learn new skills. The game has quite interesting setting as it’s set into fantasy pirate theme, thus the early guns are included, as also are spells and magic. The setting of the world promises tropical islands, dark waters and pirate ships to be encountered. The gameworld is sort of “semi-open”, since the world consists of several islands which are freely explorable when you enter to them. However many of them are locked at the beginning of the game, and will get unlocked when you proceed with the game’s storyline. The game with it’s third person view and pre-generated character reminds quite much the Gothic series, which isn’t surprise since Piranha Bytes also developed Gothic 1-3 games, in case you weren’t aware. Might be worth checking out for it’s nice theme, but might be a bit too non customizable in the part of the character also. Quality depends heavily on the game’s story and quests. How will they come out? 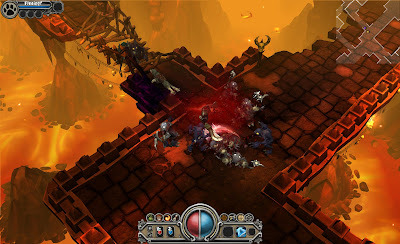 Torchlight II is a top-down view action rpg in veins of Diablo franchise, developed by Runic Games and to be released by Perfect World later 2012 for PC and Mac. As mentioned game really nods towards top-down hack’n’slash action rpg’s like Diablo, with its fast paced combat and grinding. Another remiscent is that the game will also feature random generated dungeons, but also random outdoor areas. Torchlight II will use same game engine than Torchlight 1, which updated user interface. The art style still remains rather cartoon'ish, reminding a bit of World Of Warcraft, but has definitely it's own touch. Weather effects are in to increase atmosphere. The game is broken into three chapters, of which each has it’s own main city and the surrounding wilderness around it, with the dungeons of course. The emphasis of the game is on the exploration. The developers promise longer campaign this time, along flowing and easy to use multiplayer features along your friends online, with LAN support. Your friends will be easy to be located due showing in automap feature. Pets will make return from the first game and can be taught skills. While the old classes won’t make return, there are four new classes to choose from: Embermage, Engineer, Outlander and Berserker. Development tools are to be released for modding community and Torchlight II is said to be sold by only $20 cheapest. If you’re interested in this game, prepare for long nights of hack’n’slashing your enemies for loot and exploring random generated dungeons. It’s probably gonna be fun for a while, but not certainly the most in-depth experience of the games 2012. We’ll see how it does against Diablo III which is most likely it’s main contender. The small indie game developers from France, who have set their name just as “UmbraGame”, are trying to reach game markets with late release for this year called Umbra. Umbra will be one more Diablo-like hack’n’slash rpg game coming out this year for PC, built on “CryENGINE 3” game engine. The game features full 3D with top-down view within Horror Fantasy type setting, where only few human remains in a world taken over by undead and such. The game represents more free side of character development with having no class limitations whatsoever. Survival type gameplay is bound to force player to seek any help they can get. You can craft your own weapons, armor and spells, and bound powerful spirits into them to enchant their abilitites. Real time and dynamic weather effects make variation to environments from rainy nights to sunny days. Hopefully they are not dumping down dialogue and other character interaction to make this to make gameplay overly simple. While graphics engine and textures seem fine, the interface in general at least at this stage of development lacks any authentic artistic style. Anything’s still open for this indie game, and we cannot yet know how it turns out..